This neon pink Gaffer Tape from Impact, measuring 2" x 50 yd, is a highly visible tape that's an indispensable expendable on any set, stage, or shoot, whether you're blocking a scene, grouping light fixtures, or taping down and identifying cables. Impact Gaffer Tape has a high tensile strength and clean adhesion that leaves no damage or residue when removed. The tape is hand tearable, weather resistant, and conforms well to irregular surfaces. 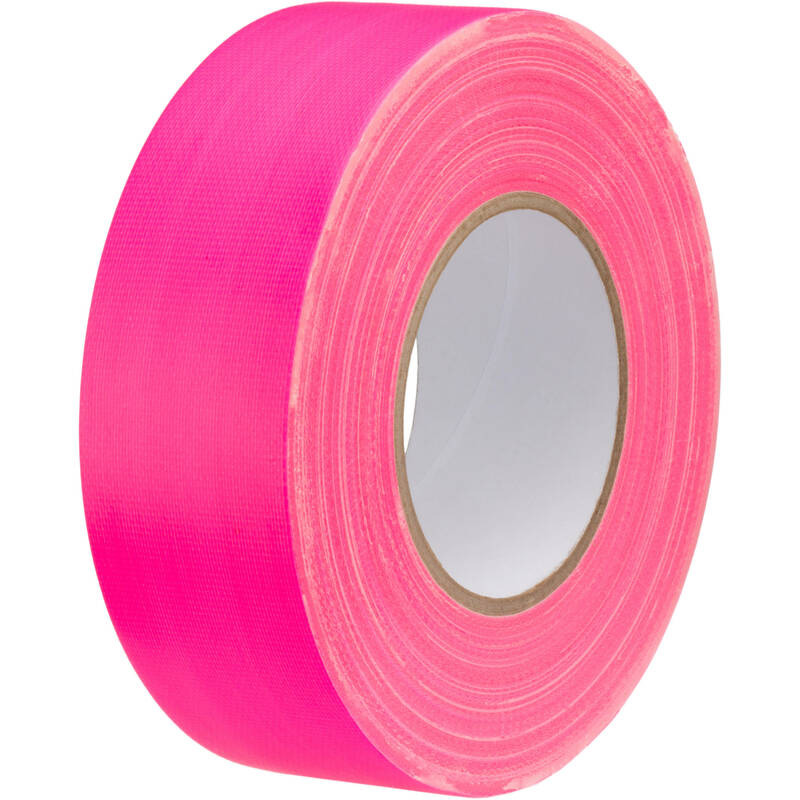 Box Dimensions (LxWxH) 5.95 x 5.9 x 2.0"
Gaffer Tape (Neon Pink, 2" x 50 yd) is rated 4.5 out of 5 by 2. Rated 5 out of 5 by 28AVG from Fast marking on Saluda Roubaix remote all road race Tape works fast and firm, marking street sign post as we covered 68mi gravel route. Safety green is our color and it added extra visual to reassure riders they were on course.